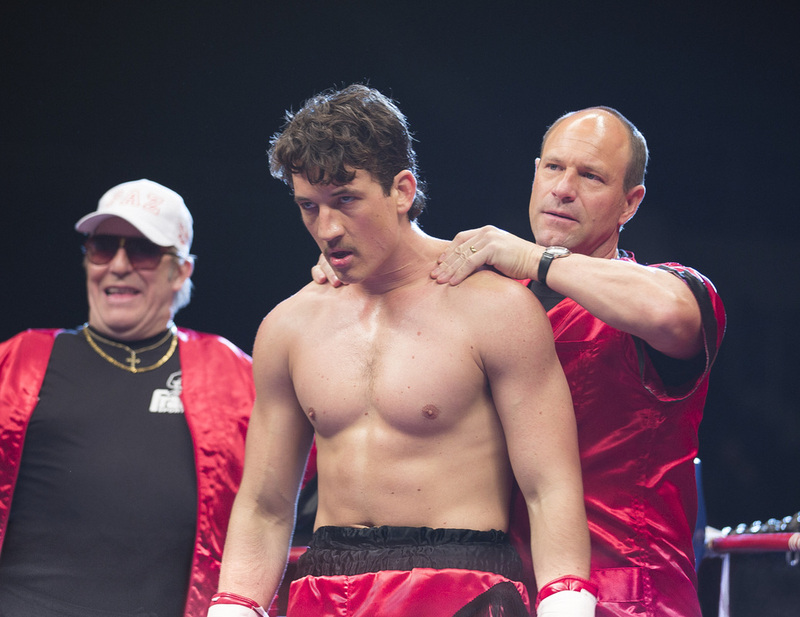 A movie review of ​BLEED FOR THIS. 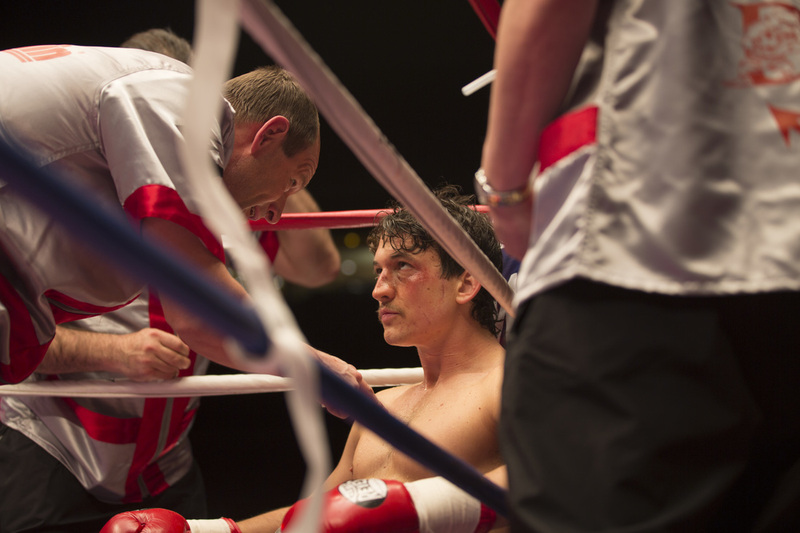 The problem with boxing movies is that there are only so many ways they can conclude: Win, lose or draw. Perhaps they are the most conventional sporting subgenre now, because the ability to sidestep cliché trappings has proved too difficult for most filmmakers? However, the best pugilistic films are not even about the ring, but what is going on outside, e.g. RAGING BULL, MILLION DOLLAR BABY and ALI. Bog-standard is as good as BLEED FOR THIS gets. Yes, there is a rough charm, and a positive message of almost superhuman recovery, but beyond those there is nothing much else of interest. ​Why did Martin Scorsese put his name to this? As executive producer, he immediately associates to his best film and this pales. Director Ben Younger’s third movie, and unfortunately none are anything to write home about. PRIME (2005) was a passable May to December romance, while BOILER ROOM (2000) was a mediocre finance thriller. The fight sequences here are repetitive and do not raise the pulse in excitement. Contrast CREED, which had swagger as well as heart. 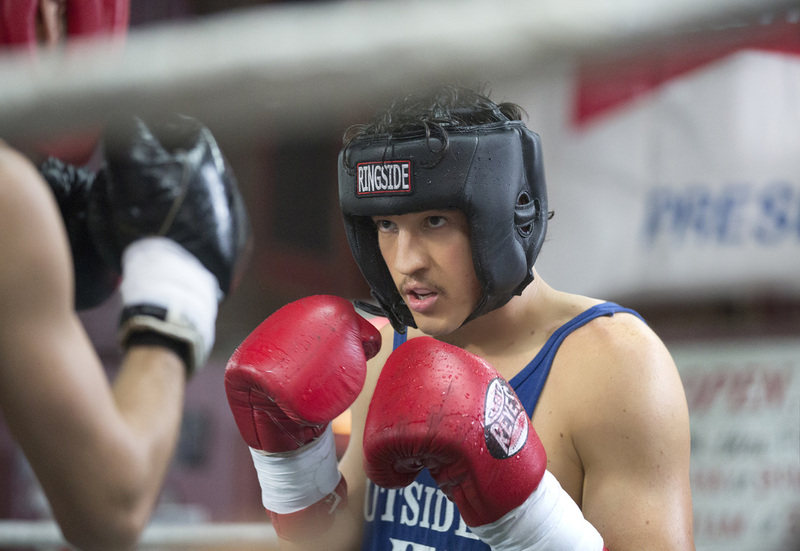 The family dysfunction kept harking back to THE FIGHTER (probably the third best boxing flick), though BLEED FOR THIS is far less rich. The last year has resurrected the subgenre. SOUTHPAW was pretty terrible. THE HAPPIEST DAY IN THE LIFE OF OLLI MÄKI, Finland’s Oscar 2017 Best Foreign Language Film submission, goes for arthouse romance, but also does not particularly deliver something memorable. THE BLEEDER, starring Liev Schreiber and Naomi Watts, another biopic, relies on humour to hold the attention. The only thing making BLEED FOR THIS stand out is the celebration of determination, to re-enter the professional fray, after a devastating injury. There are wince-inducing moments when the audience wonders how that much pain can be withstood. 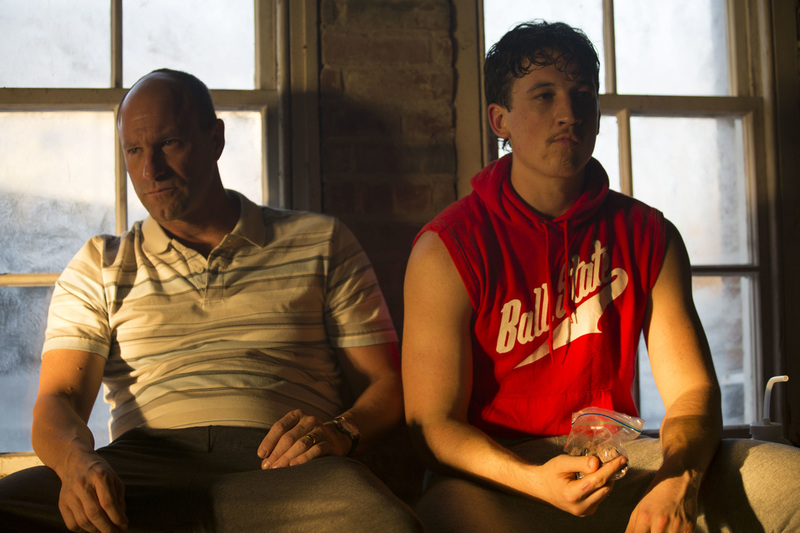 ​Miles Teller is a likeable, cocky lead. One word: WHIPLASH. His turn in such a brill slice of cinema means good will is going to be with him for awhile more. 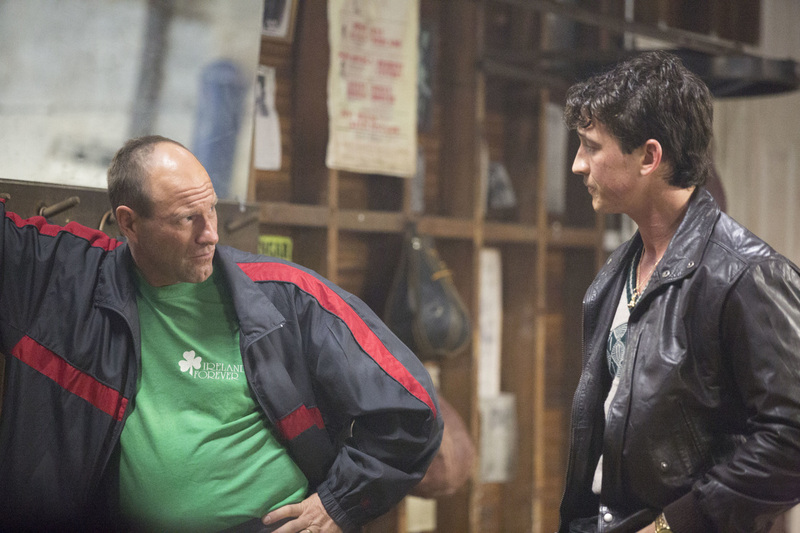 If there is a scene-stealer, it is a barely recognisable Aaron Eckhart as the lead’s balding, paunchy trainer. Eckhart is of course necessary, for the unironic montage prep sequence. SOUTH PARK and TEAM AMERICA, though, have long ago robbed them of their power. 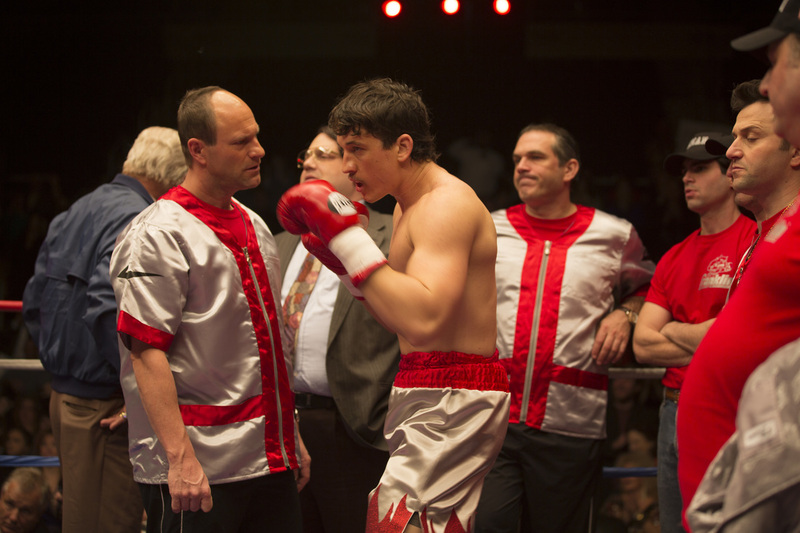 The prizefighting movie now needs to change things up, to go beyond the walking hand in hand with uplifting masochism.